This page will provide links to some of Rowan's books, research papers, conference presentations and articles. Most are available as free downloads and you are welcome to distribute them freely but we ask that you please acknowledge the authors and publishers. If you wish to reprint any please contact Rowan before proceeding. 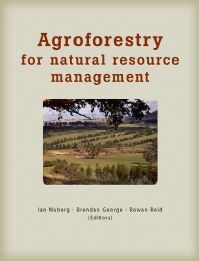 Agroforestry for Natural Resource Management - Edited by Ian Nuberg, Brendon George and Rowan Reid. CSIRO Publishing. 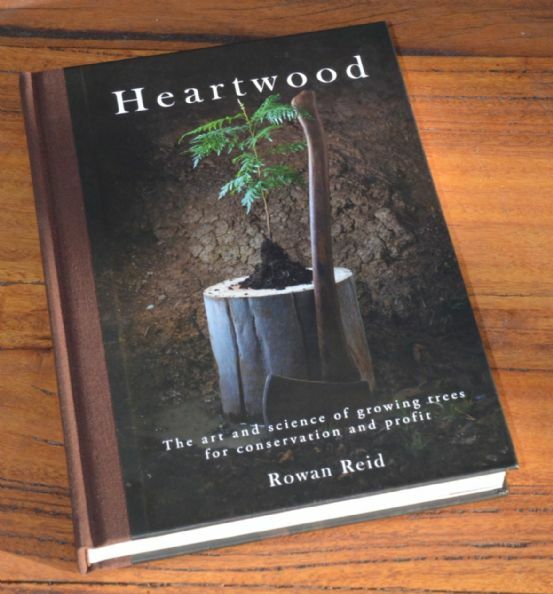 Written in 2001 by Rowan Reid and Peter Stephen the book is provided to participants at the start of each course. All chapters from 'The Farmers Forest' are provided below for download as pdf files. 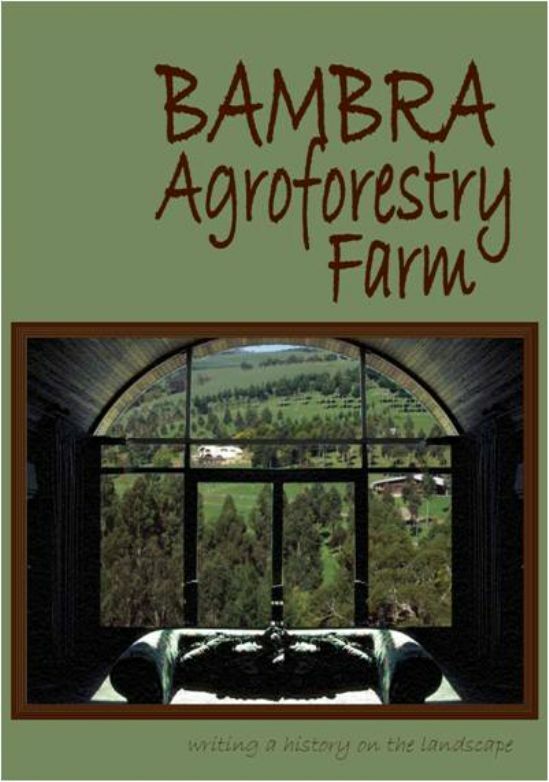 CHAPTER 1: Agroforestry and Farm Forestry: It's about farmers growing forests of course! 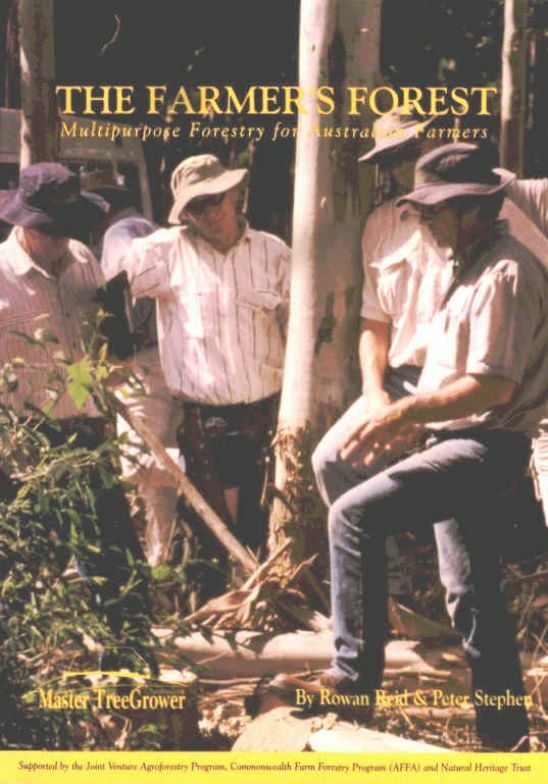 With the support of the Joint Venture Agroforestry Program a group of 'experts' from around Australia wrote this book. Each Chapter looks in detail at how farm trees can meet the aspirations or solve the problems commonly facing farmers. We then looked at how multipple objectives can be combined. Published in 1997 the book remains a vaulable reference for farmers and students. You can download the chapters here. 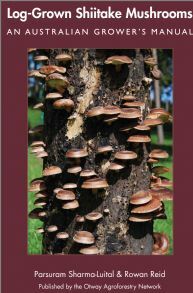 Growers Manual which draws on the international literature and our own research to provide a practical guide for would-be Australian Shiitake growers. Strong emphasis on the use of Eucalypt logs. My academic research has focused on the development and application of agroforestry extension programs, the silvicultural management of trees for high quality sawlogs and the economics of farm trees. A selection of his papers are available free. The Australian Master TreeGrower Program : The development, delivery and evaluation of a national extension program. Andrew presented this paper on our behalf at the Veg Futures Conference in Toowomba in October 2008. 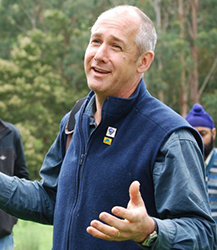 It looks at our work at three scales: Andrew's own farm, the Otway Agroforestry Network and the Australian Master TreeGrower Program. Andrew and I presented this paper at the Victorian Farmers Federation conference and as a poster at the International Landcare Conference in Melbourne. 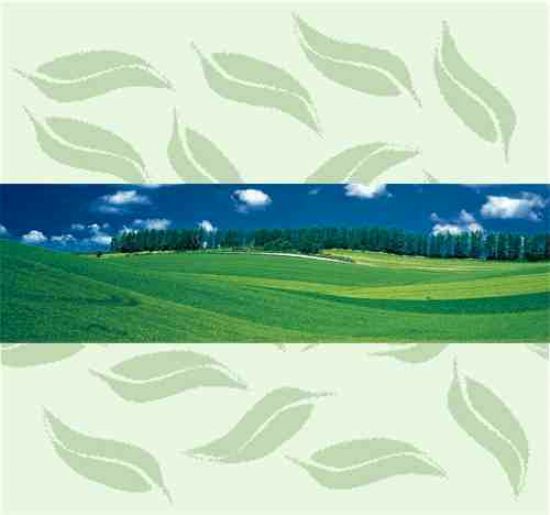 It looks at the agricultural basis for revegetation and argues that most farmers could, if well planned, plant out up to ten percent of their land to trees without any loss of production. If effect, the trees, and any products they produce, would be a bonus. I cannot give readers the whole paper but if you have access to the journal then you might like to look it up. If you don't email, then me and I will send you a copy. I've found that the ratio of the mean tree diameter to the stand basal area is a simple, practical and sivliculturally valid guide to thinning forests especially if they are being grown for sawlogs. 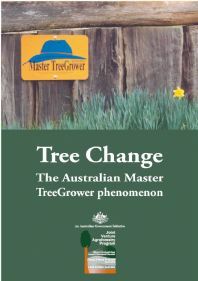 24 page, full colour, booklet outlining the development, delivery and the impact of the Eureka Award winning Australian Master TreeGrower Program. A useful guide to those working in agricultural extension of community development. I've written hundreds of articles in farmer magazines including Australian Agroforestry, Town and Country Farmer, Australian Forest Grower and The Australian Farm Journal. Most are very practical covering aspects of species selection, plantation design, establish, management and harvesting. Others are reflective pieces exploring what it means to grow trees. A selection are available as free downloads and will be added to this site. In this paper I review the biology and practice of pruning trees for high quality timber production. There is an empahsis on pruning eucalypts but the paper also refers to many other tree species.